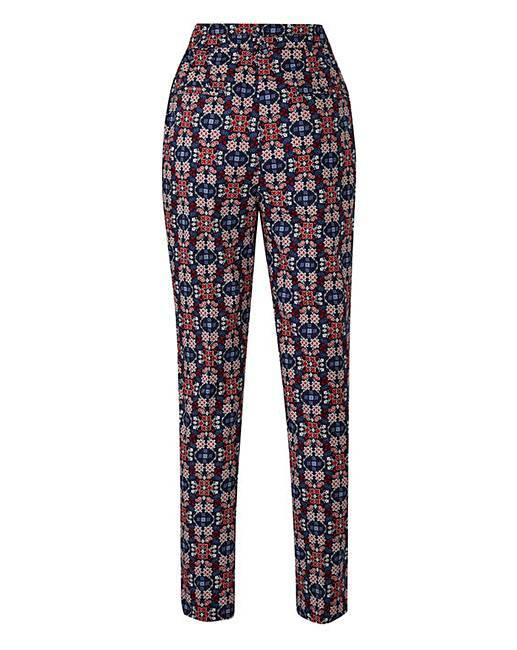 Print Cotton Sateen Tailored Trouser Reg is rated 3.8 out of 5 by 6. 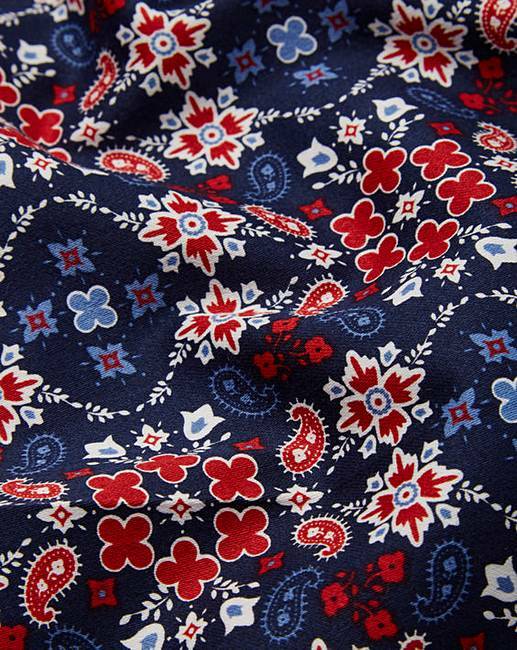 Stretch fabric in a stylish print design. Zip-and-button front fastening with pocket detail. Wear casual or smart, with heels or flat shoes. Rated 5 out of 5 by suzywoo from Great trousers Bought in the sale, real bargain.Lovely colours & great fit. Rated 4 out of 5 by camille from Trouser tailored Nice pair .. I wear it a bit big at waist but around leg perfect so this is for been a pear size. If another colour was available like a black one or gray I will buy them as well. Rated 5 out of 5 by Marina from Great fit! 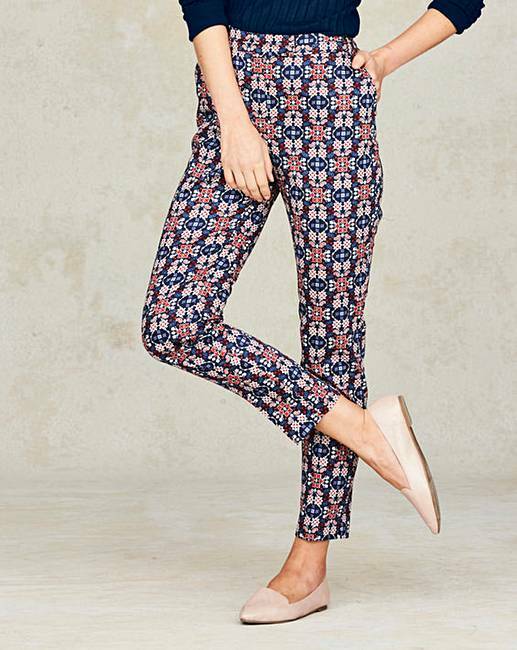 Fab trousers, a fun print and super comfortable. 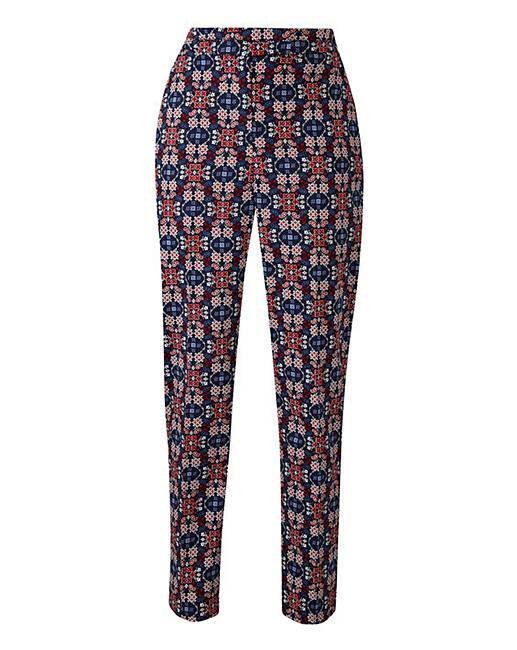 I bought these for a holiday and would buy more in different prints or colours if you had them. I'm 5'1" and these were a perfect length and fit. Rated 2 out of 5 by Vicswell from Really wanted to like them but... ...the fit wasn't all that great. The pattern is pretty and material is decent enough. Shame about the fit. Rated 4 out of 5 by Dlucie from So comfy Bought about a month ago and have worn numerous times for different occasions. My only peeve is that they don't come in a shorter length option. Not a huge issue but an inch would have made a difference. Otherwise perfect.